See photo’s of Beyoncé on the red carpet at the TopShop TopMan opening NYC event. Forbes has released the 2014 list of the top-earning’s women’s list for music in 2014.
Who else than Queen B remains as the top earning female in music another year taking in a well earned $115 million. [Photo by Devin Torkelsen] Beyoncé during her Chicago ‘On The Run’ Tour date on July 24, 2014 at Soldier Field which earned an estimated $5,783,396. 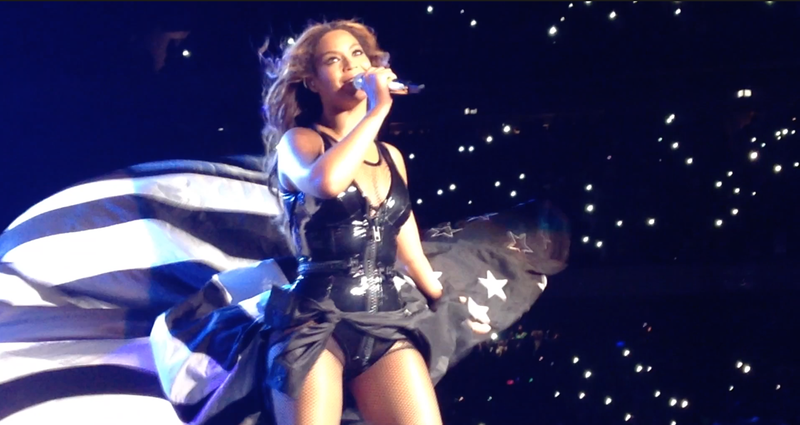 Beyoncé had an amazing 2014, and so did I being a fan of hers. We got the iconic Superbowl performance, H&M line, the Pepsi deal, The Mrs. Carter Show World Tour (not to mention she came to America and Europe twice during that tour) and her self titled album BEYONCÉ that surprised the nation right before the year’s end. She’s estimated having earned $2.4 million per city at 95 shows. The On The Run Tour alone earned a $95,978,476. Let that sink in for a moment. Bey doubled her income from last year earning an estimated $53 million the previous year and almost doubled the #2 person on the list. Taylor Swift and P!nk followed the Queen hitting over the $50 million mark. Rihanna was in fourth with $48 million. Take a look at the list below. The ratings are based on record sales, merchandise sales, touring endorsements, publishing, other ventures, calculated from June 2013 to June Information comes from Pollstar, the RIAA, and Nielsen SoundScan, managers, lawyers, and executives. Congratulations Beyoncé, You are the ONLY artist deserving of this spot. Where are Kim Kardashian’s Eyebrows? Details inside!